For the Math Rock Junto project I cut up my Sonic Tinsel track into around 135 parts. I added four extra snippets to 'set A' as I couldn't think how to divide them into 60 parts based on the grid in Ableton Live. You can hear the sampled track in its entirety below. 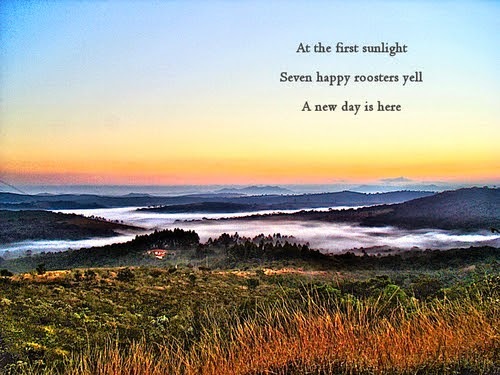 Ostensibly this track is a response to the haiku shown on the NASA picture below; but mostly I just wanted to record a chord progression I discovered on holiday last week. Audio Technology magazine are running a remix competition and you can hear my entry above and the original tune below. The Occupants' track offered a lot of possibility, as well as excellent musicianship, and my remix is composed entirely from samples taken from their stems. 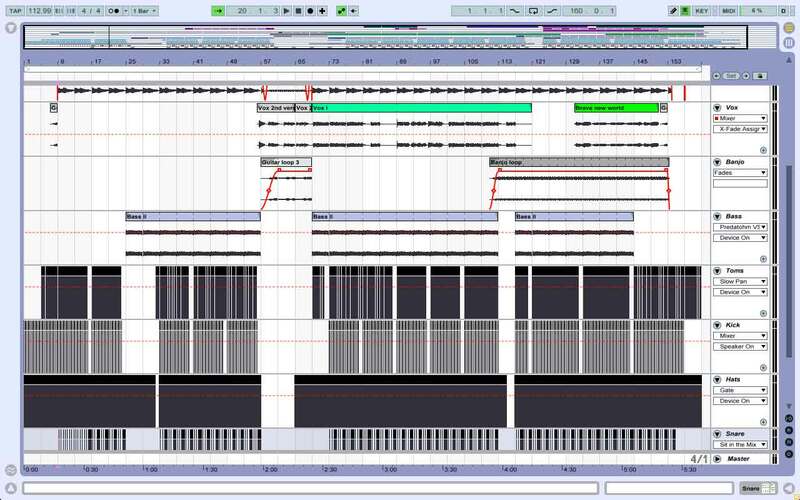 I wanted to create a remix that took the material into a different tempo and mine is 113 BPM compared to their 166. My idea was to focus on creating a new song from the elements, rather than just putting the material into a different genre. So I settled on using the hook 'Yeah, I believe you understand' because I have a theory that pop music is effective when expressing vulnerability. I remember being astonished by how listening to the remix could kind of make you completely rethink the way that you relate to the original, and that moment was really important, realizing that altering something does not detract from the original, but can enrich your understanding of it. There is no worthwhile work of art that isn’t derivative. Bad art is insufficiently derivative of too few different sources. Which leads me to confess that inspiration for my remix came from emulating another tune. When I thought of my favourite remixes and what approach to take, I remembered the approach taken by a talented producer named Charlie Van Pelt who used to post on the Ninja Tune Forum as Czar Kastik. I used a remix he made about 10 years ago as a scaffold for my track, which is the first time I've tried this approach and found it surprisingly easy and effective. It's an idea I'd previously discounted but reconsidered after learning the Beastie Boys have did the same thing on one of their best tracks. 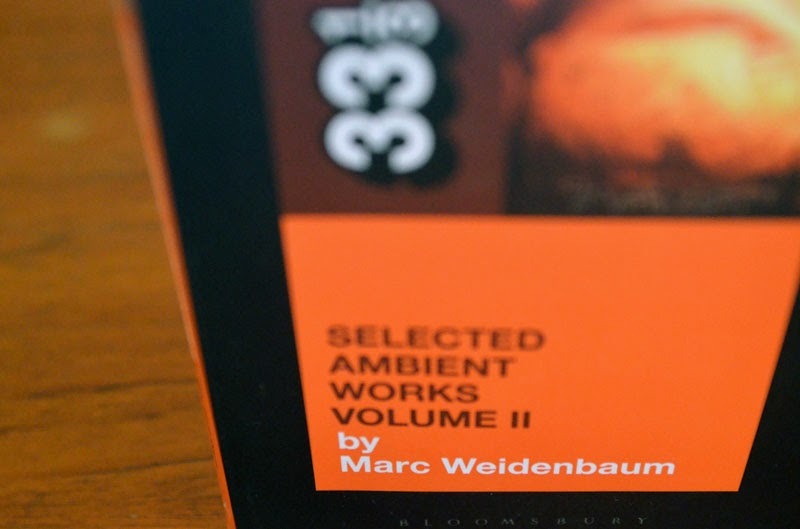 Recently interviewed Marc Weidenbaum about his book on Aphex Twin's Selected Ambient Works Volume II. The piece is now online at Cyclic Defrost. It was great to engage Marc in conversation as I've been an admirer of his work since joining the Disquiet Junto. Earlier this month I recorded a musical response to the book, as part of the Junto. The Disquiet Junto this week involved interpreting the heartbeat of artist Marcel Duchamp. 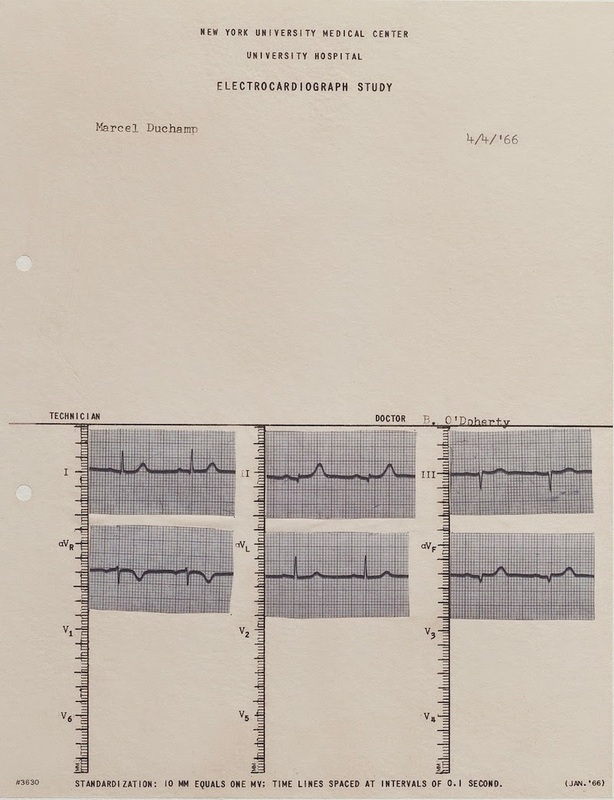 The graphs of Duchamp's heartbeat reminded me of arpeggios, probably because I've still been playing around with picking the notes used last week. This track is a variation on that chord progression. I guess it was readymade. I've added an 808 kick as a heartbeat to the piece. It was mixed on headphones, hopefully it sounds okay. We are about the enter a period of major historical change not often witnessed in the long history of mankind. I believe that people involved in media have an important obligation to fulfil. That is to truly grasp the spirit of the period. And at the same time use their imaginative powers and practical skills to create a ‘dream tide’. This tune was recorded for the 14th Naviarhaiku project. 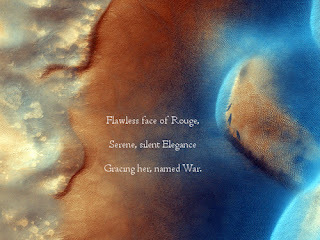 It was inspired by a haiku by Marios Schismenos, presented below with an image by Flavio Jota de Paula. My idea was to make an upbeat track that could be in the soundtrack to a modern Western. I'm not sure I've really managed the latter but the idea of a modern Western is an oxymoron. Brass would be good with it and an organ, or maybe a harmonica? Step 1: Locate a section of a piece of written fiction that you admire. 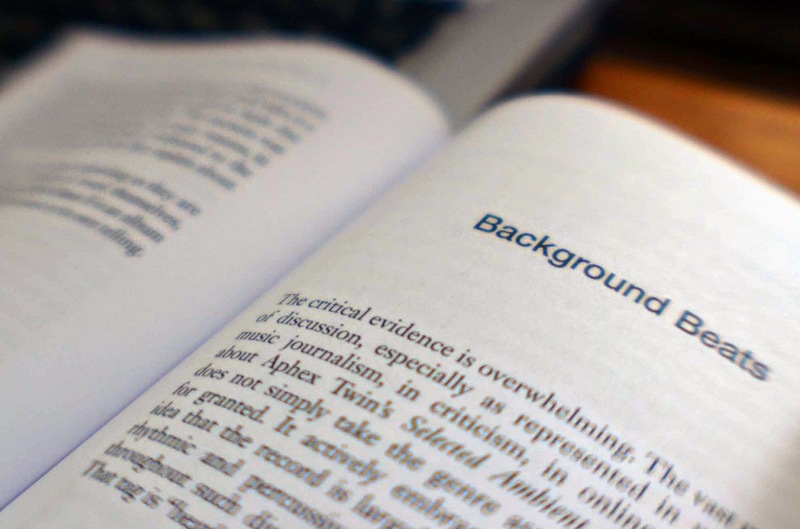 The section should be roughly between 125 and 200 words long. Step 2: Record youself typing those words. Please note: You need not type it perfectly, and you should feel comfortable making some corrections as part of your typing. That said, you should come as close as possible to typing it straight through. And you should, if possible, record this in stereo in a way that distinguishes between the left and right sides of your typewriter. That text should account for roughly between a minute and a half and three minutes. 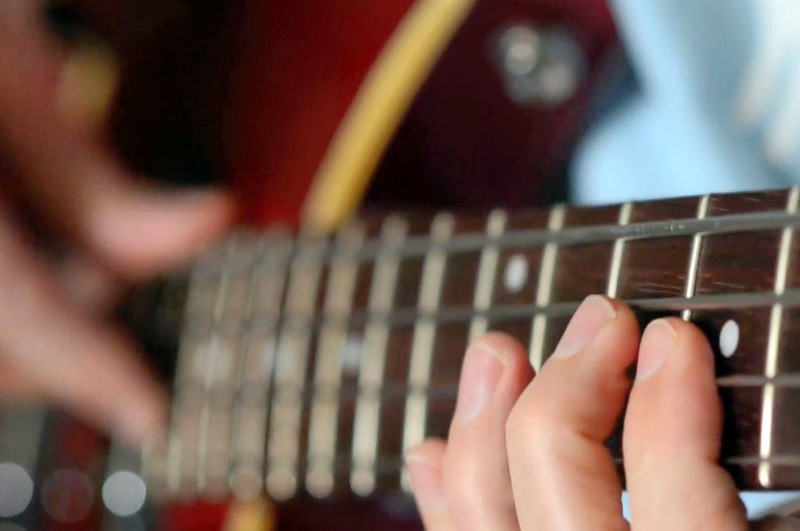 Step 3: Listen through the recording, making note of rhythmic themes, such as repeated sequences of letters, or natural pauses, or intriguing spacial separations across the keyboard. Step 4: Record a piece of music to accompany the typing, music that uses the inherent rhythm of the typing as its foundation. Imagine, if you will, that someone could listen to this music while writing, and get into the groove, the zone, the mindset of the original writer. I disregarded the direction to use fiction. Kerouac's On The Road came to mind because it's the first example of rhythm inherent in fiction I immediately think of, particularly the section about watching live jazz. I also like James Baldwin's Sonny's Blues, another piece featuring jazz. 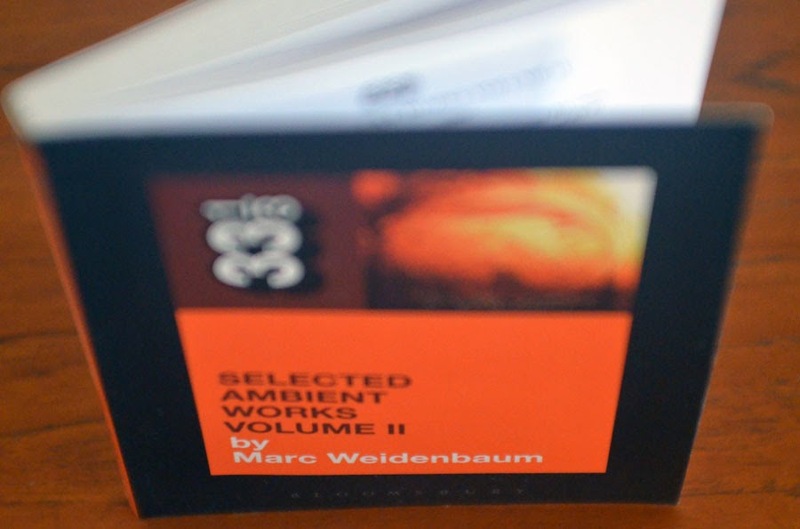 Instead I decided to be cheeky and use Marc Weidenbaum's book about Aphex Twin's album Selected Ambient Works Volume II. As I've been reading it most recently it was close at hand and because Marc is responsible for setting the Disquiet Junto projects it seemed logical. I also decided to try making a track in the style of Aphex Twin's ambient work, ensuring a rhythm and heavy reverb on synth pads. Two takes were recorded using my Rode NT4 stereo microphone and the computer keyboard, as I couldn't locate a typewriter. The first take was used. In the second I typed the full page and it was over six minutes, which seemed too long. 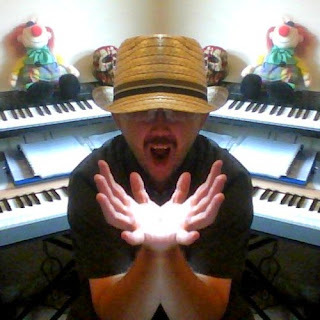 There was a guitar riff I had in mind, which was recorded loosely as MIDI and run through a few Absynth presets. These were treated with plate and room reverbs. It was put together quickly and I don't think I've nailed the spaciousness of Aphex Twin's arrangements. It feels more like Cliff Martinez' Solaris soundtrack to me. I probably would've made it shorter but I liked the way the typing ended with the two s's. It punctuates the piece. Today I remixed a tune by Sicksquid. Above is his version, below is mine. You can hear I've sped it up a bit and left out his piano part, as well as the percussion and bass. 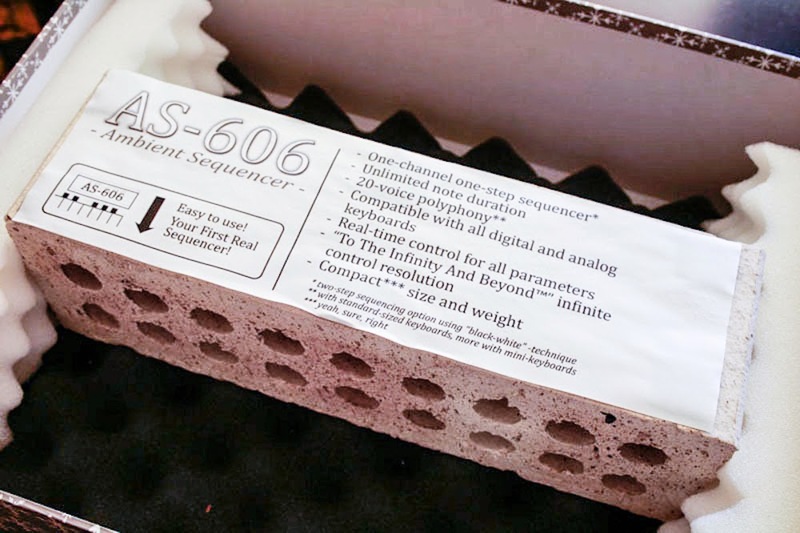 In their place I've added an 808 and synths, both a bass and a pad. It was fun mixing a track by someone else, particularly working with vocals. I like the sentiment of the track. The reason to copy your heroes and their style is so that you might somehow get a glimpse into their minds. That's what you really want -- to internalize their way of looking at the world. If you just mimic the surface of somebody's work without understanding where they are coming from, your work will never be anything more than a knockoff. I've responded quite literally, although it was recorded on Saturday afternoon. 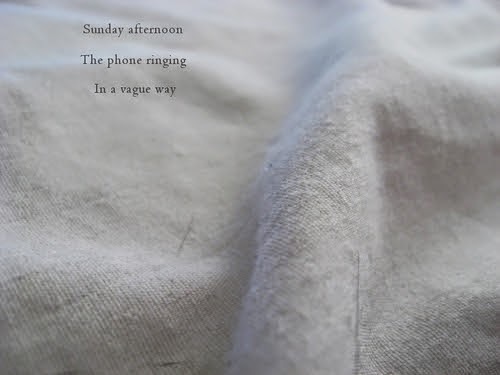 The idea of sitting on my bed for the recording was inspired by the blanket used as a backdrop for the poem. The chord progression is the one I used in my Brush Brush Brush Brush Junto (below) because I'm thinking this version will lead into it nicely when I put together a compilation of tracks latter this year, like I did with the Junto tracks that went into While in 2013. P.S. 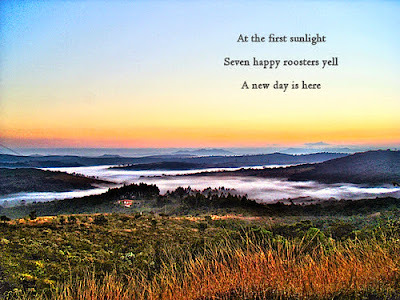 I've also responded with a haiku of my own. “What is the room tone of the Internet?” asks the Disquiet Junto this week and you can hear my answer below. It was a question that stumped me for a few minutes, then I remembered the digital-sounding interference recorded when using my Sony Cybershot camera while recharging. 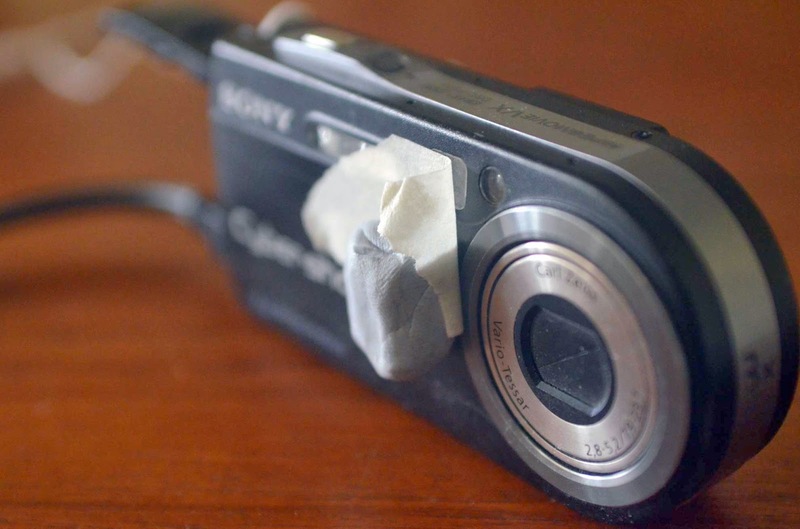 To minimise other noises I covered the microphone on the camera with Blu Tack, on tape to ensure it wouldn't get stuck in the microphone holes. Two takes of around six minutes were recorded, which is the maximum possible on each side of my old memory stick. These were cut into three and layered in Ableton Live. I panned them in various directions and removed the one with the most noise from elsewhere in the house. Then equalised them before running through an effect to widen the sounds. The image below comes from a Reddit thread about a pregnant woman emanating WI-FI. This is allegedly an unreleased ambient track by Aphex Twin. My track High Coo Unplugged is at number 21. My sometime collaborator Lee Rosevere, who suggested I get involved, put together this video for his track.